Talk about going from the sublime to the real-ick-ulous on the Toronto Gardens blog! Look what bloomed – overnight – on my worm condo. When I say “overnight,” I mean that the slimy yellow barflike substance frothed up over the lid and lip in a matter of hours. Only after seeing this gloppy stage of the fruiting body did I connect the yellow, weblike structures I’d noticed for the past few days, spreading across the top layer of paper bedding – looking for somewhere to do exactly this. I’ve seen dog vomit fungus (Fuligo septica) as a kind of wonderful curiosity outdoors (here’s a tell-all article on dog vomit fungus from the Chicago Tribune). It can appear on mulch, for example, and I’ve seen it on the forest floor. But in my worm box? Geez. 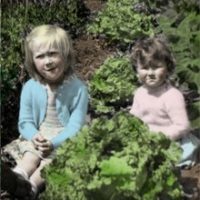 Naturally, that sent me scurrying to the web to seek advice, given most concisely here at redwormcomposting.com – a great info resource for vermicomposting. 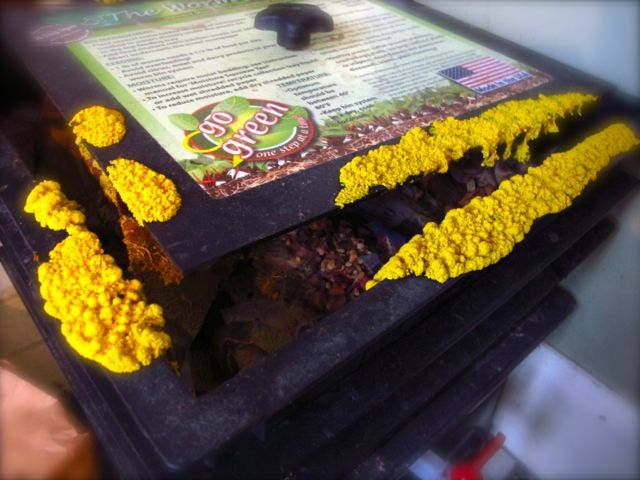 from over-watering; worm boxes thrive best on a little neglect. It was only after I’d given mine too much attention (or food) that my problem occurred. Dog vomit fungus is said to be harmless to your worms and, unless you let it complete the fruiting process and release its spores, it’s likely harmless to you, too. 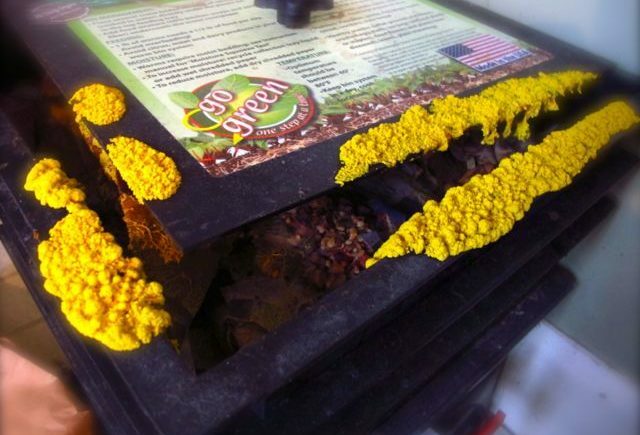 If it appears in your worm box, the advice I’ve found is to wipe it up/off and wrap it up in a damp paper towel, then bury it deep in your worm box. So that’s what I did. I am also letting the box air out a little. So. We shall wait and see.